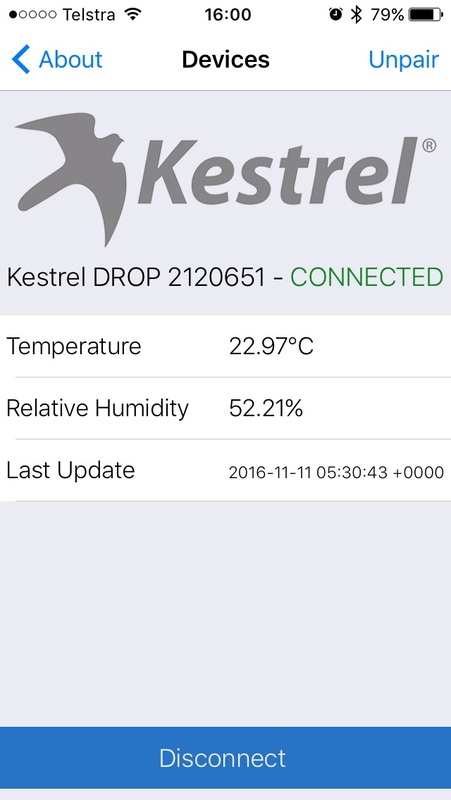 The Kestrel Drop 3 is referred to as a weather data logger but since its release it has found a new role as the Kestrel Drop Ballistics unit. 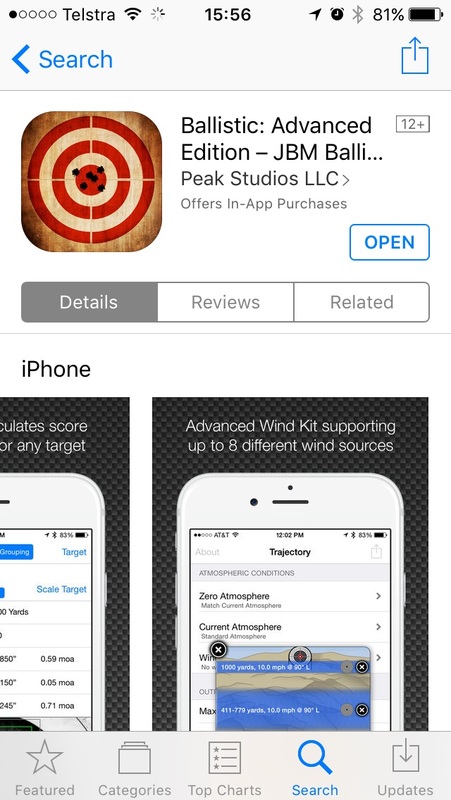 The question is, how is it a ballistics tool if it doesn’t measure the wind? 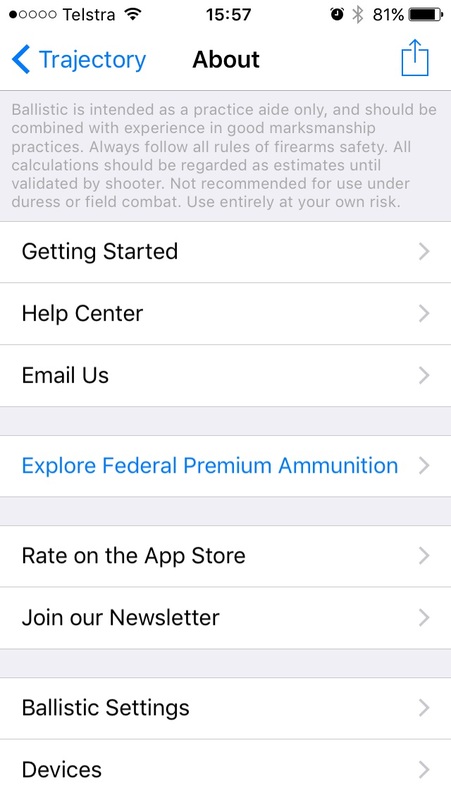 Environment measurements for calculating air resistance are sometimes available from a localised weather service as a feature of many modern ballistics apps. But only if a data connection is available (within service)and even then they are generalised giving only an approximate solution. The Kestrel Drop Ballistics ensures you will always be able to get a precise solution for air resistance and for precision shooters and hunters, this is critical. Finally even the Kestrel Elite 5700 only measures wind at its location, not the wind down range. If you are shooting across a gully or with varying topography, the wind measurement will still need an experienced user to correctly estimate the downrange wind speeds. With practice, correctly estimating the wind downrange can give a more accurate wind inputs for ballistics than the measurements achieved by a anemometer at the shooters location. Also, hunters may not need to account for wind, early morning stalking or enclosed environments, means that the solution achieved without measuring wind may be all that is required. Finally, target shooters are rarely able to even use wind meters! 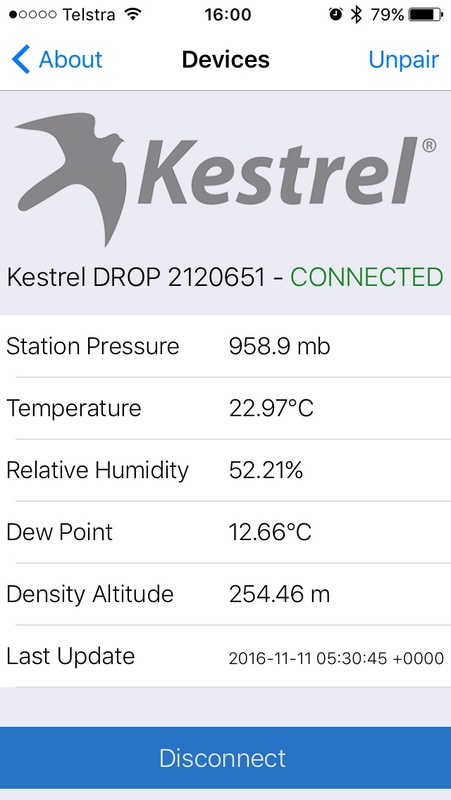 The Kestrel Drop Ballistic does however give regular temperature measurements helping you track the effect on velocities as well as getting your elevation right from the outset if the humidity shifts or you travel to shoot at a different altitude and doesn’t break any rules! 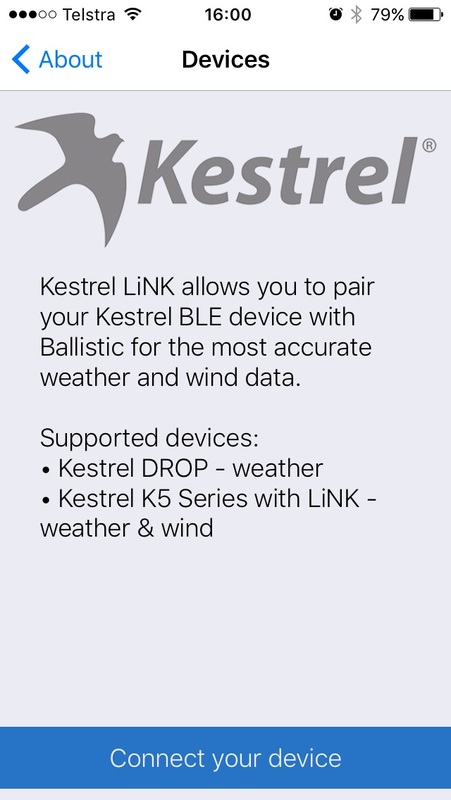 Kestrel Drop Ballistics needs an App, but which one? Now, there are supporters for each choice out there and searching online found a number of arguments for each. So we got the lot and bench marked them against the Kestrel 5700 Elite. Not enough time for detail but the winner hands down was Ballistic AE. Throughout testing Ballistic AE would provide consistently closer solutions to the 5700 Elite unit compared to any other app, android or iOS based. Also, with its multiple libraries, drag models and the ability to input multiple wind zones, Ballistic AE is a standout application (second only to the 5700 Elite with AB in our experience).We even found ourselves using this application instead of the 5700 Kestrel’s inbuilt calculator when we wanted a solution for a shot that spanned a pair of gullies. Honourable mention to “shooter”its user interface was incredibly friendly and being a fraction of the cost of Ballistic AE it is an excellent entry level shooting app but LiNK is only available with the android unfortunately, fingers crossed this is fixed in future updates. 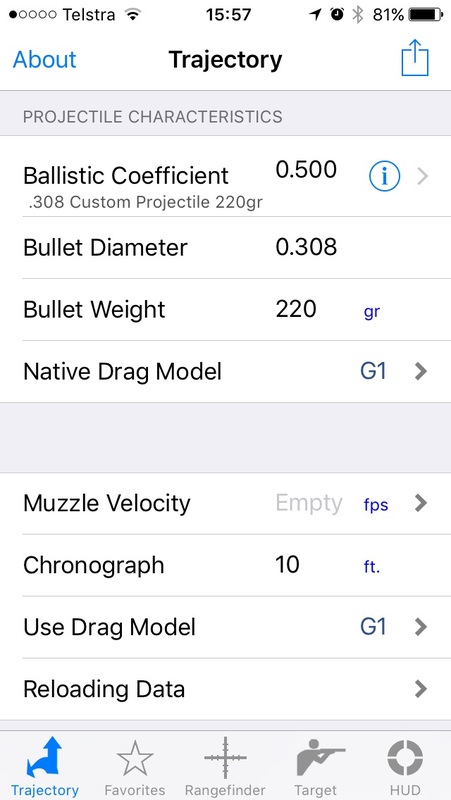 In Australia, Ballistic AE costs $30 for the app and a further $30 for the LiNK connectivity suite, making it one of the more expensive Ballistics Apps but we found its price tag was well worth it. 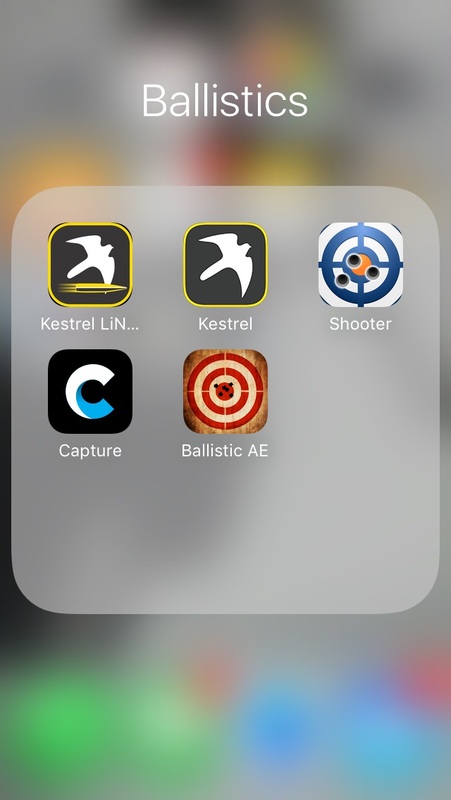 Thankfully the Kestrel Drop Ballistics has an rrp of only $319 , combining with Ballistic AE and a smart phone, results in a very precise sub $400 AUD ballistics package. How it appears in the App Store, make sure you choose the Advanced Edition! At the End of testing these where the only ballistic apps that survived our process on iOS. The Capture App is a GoPro app used with the sessions action cams we use when out testing. Even if you later add a K5 series to your precision shooting equipment, Ballistic AE will be able to connect and generate a precise solution so is well worth the one-off cost of $31 in Australia. Press the buy button once! It can take up to 60 seconds for the appleid request to appear. 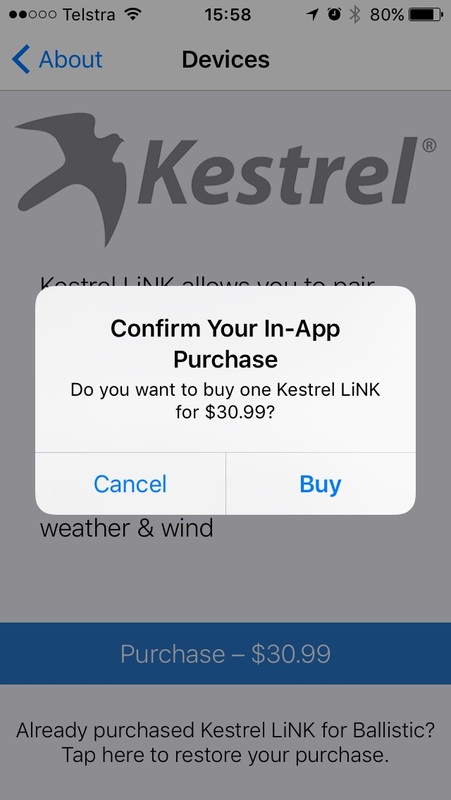 Type in your apple id password to purchase and again, only tap submit once. In our experience combining Kestrel 5000’s and the Drop Units with Ballistic AE is well worth the one-off cost. 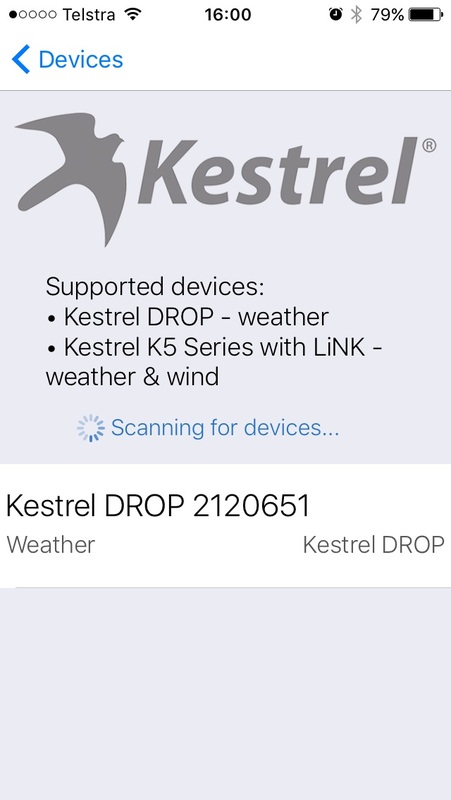 Don’t wait for the scanning for devices to go away, when you click connect my device it will perpetually search for LiNK devices so once the serial number of the unit you are looking for appears, select it. The Screen of success, It may take a minute to populate the environment table, or you can press the button on your D3 to collect a new reading and force it. Once the full data set for a D3 has appeared like above, you are good to start setting up Ballistic AE for your rifle with the confidence that you will always have precise environment measurements. For setting up Ballistic AE, checkout the guides from Ballistic AE on their YouTube channel and on their website.